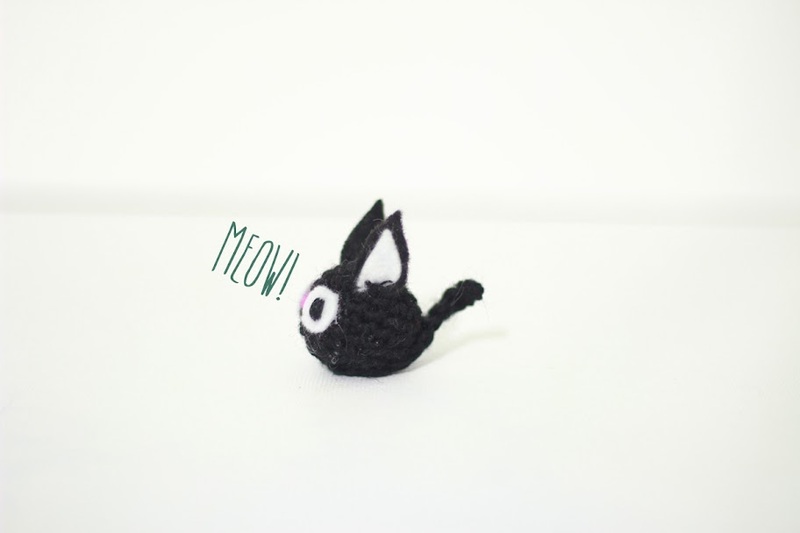 Jiji the cat, companion of Kiki free amigurumi pattern. This a very easy crochet project for beginners as well as a very short crochet project. 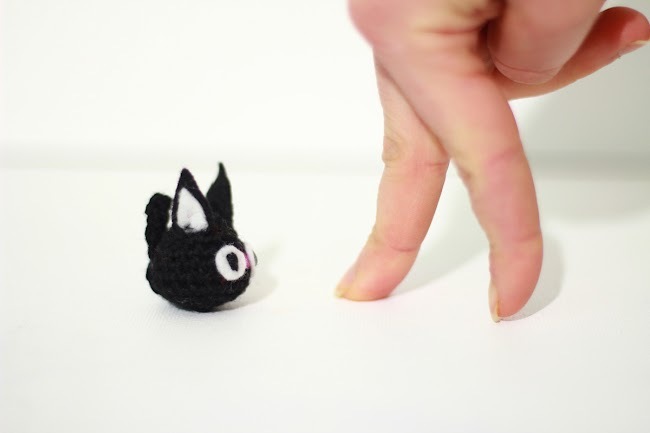 You will practice how to make simple amigurumis as well as how to add felt details to amigurumis. 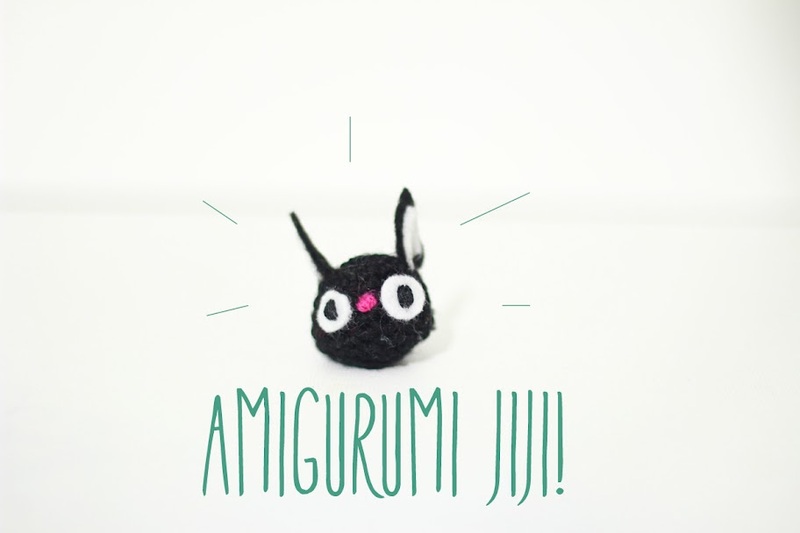 How can we leave Amigurumi Kiki without her best friend Jiji? The talkative and opinionated amazing cat of Kiki is her partner in all the adventures! Yarn: I am using Novita yarn. "Wool". Thin Finnish yarn of 3,5 mm in black color, but you can use any yarn. Please note that the thickness of the yarn and hook affect the size of your amigurumi. Ch 10, sc in each. 4. Sew on place, on top of the head. Turn the ears and make sure the white part is showing out. I Hope you enjoy making this little easy Amigurumi, comment below and tell us what you think of this tutorial. 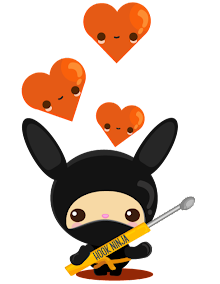 We love your comments(◕‿-)!